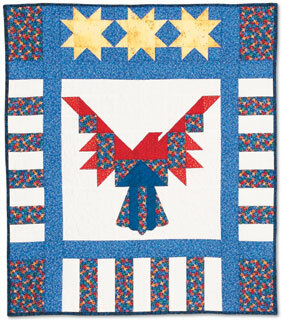 Eleanor brings the glory of our country together in her new book that features the proud American Eagle, designed by Sue Bouchard. The eagle, our symbol of freedom, is stunning in his proud stance with bright eight-point stars shining above his head. 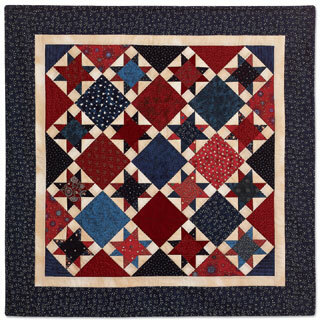 A quilt dedicated to the "13 Colonies" boasts 13 stars scattered amid solid background squares. 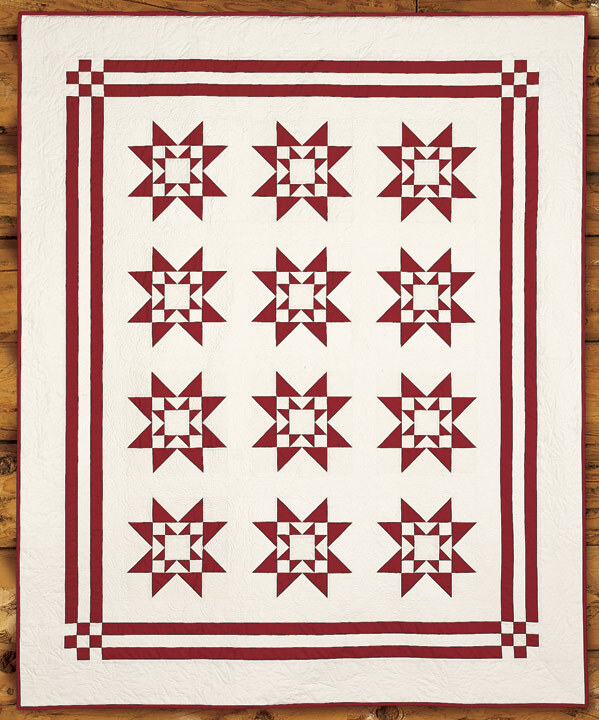 Display "our colors" throughout the house, stitch a star and flying geese table runner, sure to be a hit at any holiday gathering. 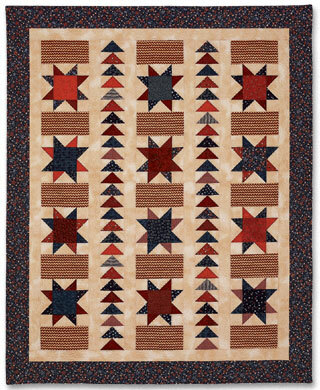 The "Heritage Star" quilt is especially regal with its "star within a star" motif. 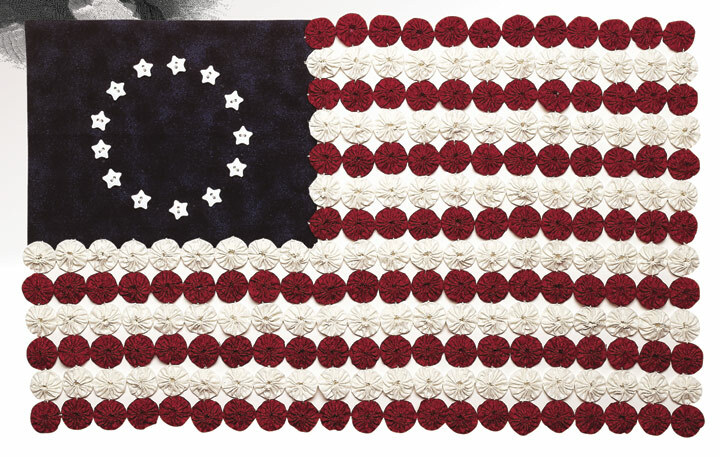 This book would not be complete without "Old Glory", so a "yo-yo" flag based on a vintage quilt is included. The book contains 7 projects beautifully displayed in full color with step by step instructions. So, wave your flag, rev up your sewing machine, and let the fabric fly! 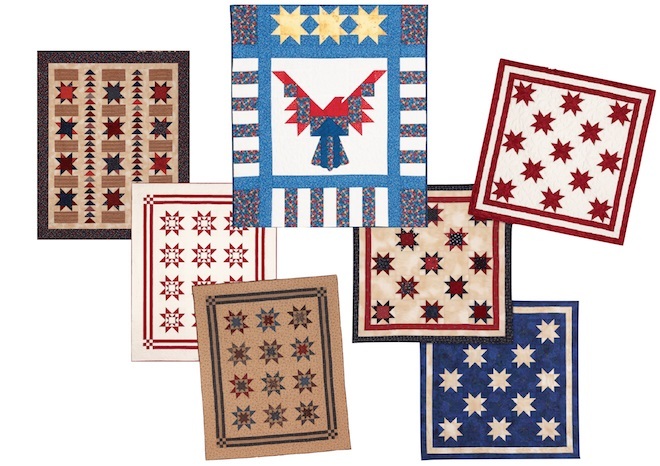 We are getting rave reviews about "Star Spangled Favorites"! It is jam packed with 8 projects and is beautifully illustrated in full color. 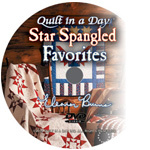 This book has wonderful patriotic projects for the upcoming holidays, President's Day is just around the corner. Suggested Rulers: Geese Ruler and 6 1/2" Triangle Square Up. 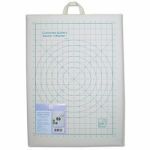 Havels Serrated Embroidery Scissors 5 1/2 in.